Celebrated cannabis activist Eddy Lepp was released from federal prison on Wednesday, after serving 8.5 years of a 10-year sentence for growing cannabis. Celebrated cannabis activist Eddy Lepp was released from federal prison on Wednesday, after serving 8 1/2 years of a mandatory 10-year sentence for growing cannabis. 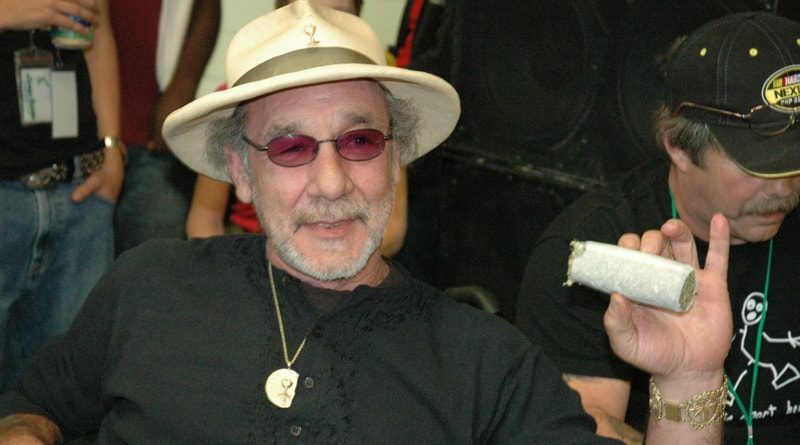 Charles “Eddy” Lepp’s bust for cannabis cultivation in 2002, and his subsequent conviction in 2007 is the stuff of legend in California cannabis culture. After running an operation in which he grew over 30,000 cannabis plants, the Vietnam veteran was arrested on August 18, 2002, at his sprawling home in northern California. The sting was reportedly led by 34 different law enforcement officials, who subsequently confiscated over 27,000 of Lepp’s cannabis plants. Lepp claimed that the bulk of his harvest was allocated toward people who used the substance for medical purposes; this included Lepp and his then-wife, whom he claimed used it to treat their respective PTSD and cancer. According to authorities, the haul was worth an estimated street value of $18 million – considered to be the then-highest value of any medical crop seizure in U.S. history. Lepp’s attorney, Michael Hinckley, praised how his client reacted to the bust. He was brave, very brave… It is very difficult to walk into federal court and admit to violating drug laws. When it came time to step up and take the risk, it was just Eddy. The federal government ultimately seized Lepp his home, cars, and farm. The conviction also ultimately cost him his marriage after he and his wife divorced. Now that he is free, however, Lepp has already identified several ways in which he will be able to reenter the cannabis sphere – but this time around, he will be entering a wildly different space than that which he did before. Since Lepp was incarcerated, his home state of California has undergone some dramatic changes on the cannabis front. Medical cannabis, for example, has seen an expansion all but unrivaled in other parts of the country. Perhaps of even greater importance is California’s legalization of recreational cannabis on Election Day 2016. In addition to allowing for individuals to possess up to 28.5 grams of dry herb cannabis, the measure also allows for “large cultivators” – those whose facilities are over one acre. Though licenses for large cultivators will not be available for over six years, Lepp sees himself reentering the cannabis space. (He will now serve a 5-year probationary period.) At least initially, he is likely to focus on the activist side of things. Just because I went to federal prison doesn’t mean I got off the horse… It is still a long, long ride, and I’ll be there when it’s done.